WA: Voluntary Work? How about if you're getting paid? Are you covered? You are here: Home / Insurance / Insurance WA / WA: Voluntary Work? How about if you’re getting paid? Are you covered? WA: Voluntary Work? How about if you’re getting paid? Are you covered? This article considers the strata insurance implications when voluntary work such as a Spring Cleaning Busy Bee is carried out at your scheme. Leonie Milonas, PSC Property Lync Insurance Brokers provides the following information. Question: We have a lot owner asking to mow for a fee. For insurance purposes, are they classified as a volunteer, carrying out voluntary work, or a worker / contractor? How will this affect our insurance? We have a strata of 5 lots. For a few years, one lot owner was mowing the front council verge for a fee of $500 per annum which was reduced from the annual levy notice until it was discovered that our insurer does not cover for any worker or voluntary work outside the boundary of the strata. Consequently, an external lawn mowing contractor with their own liability and workers compensation insurance was hired. The lot owner who was originally performing the task wants to resume the duties and has been attempting to be reinstated for two years. We now have a new insurer that will insure a worker or voluntary work outside the boundaries of the strata of the council verge forming part of the strata. Before it could be determined what constituted a worker or volunteer so there were no grey areas to what the insurer would accept liability should an incident occur, the lawn mowing contractor was inadvertently cancelled due to a misunderstanding by our newly hired strata manager. It is now up to the Council of owners, which is all lot owners, to have a meeting for a vote as to whether we reinstate the contractor or use the services of the lot owner for a fee. So is the lot owner a volunteer, carrying out voluntary work, or a worker / contractor. He is not a registered business and will not be issuing invoices, however, he is getting paid for the work. If the CoO votes to move ahead, would we then be financially responsible should an incident take place? Would the insurer declines the claim because the lot owner didn’t fall under the category of worker or volunteer? I feel this would put the strata at risk because of the decision of the other lot owners. The few lot owners who do not agree have asked to be absolved from being liable should an incident or damage occur. However, they will not agree to this. Answer: A volunteer is someone performing unpaid or voluntary work on common property on behalf of the strata company in a voluntary capacity. If the Strata Company is paying remuneration of any kind to someone, including a Lot Owner, to undertake paid work they would be required to have Workers Compensation Insurance. Remuneration or a payment for work that you receive does not have to be a weekly salary, as it can include other benefits. Please refer to the WorkCover website as it explains remuneration. You are required to have workers compensation insurance if you are an employer of any worker/deemed worker under the Workers’ Compensation and Injury Management Act 1981. A strata company is responsible for its workers in regards to occupational health and safety. Any claim for workers compensation needs to fall under the definition of the Workers Compensation & Injury Management Act 1981 (WC Act) and other legislation that applies, please refer to the Work Cover website. A lot owner may be deemed a worker in respect to Workers Compensation if they are receiving remuneration for whom they are working for i.e. Strata Company. A volunteer is someone performing unpaid or voluntary work on common property on behalf of the strata company in a voluntary capacity e.g. the Lot Owner was getting no remuneration by way of wage or reduction in rent or levies and gets hurt whilst performing voluntary work. The Lot Owner may be able to claim under the Voluntary Workers, but please note this is Personal Accident type cover with no medical or any other benefits that are usually payable to workers under the WC Act. These answers relate to Western Australia. When it comes to Workers Compensation, each state of Australia has different legislation for this type of insurance. It is important that the Strata Company has Voluntary Workers and Workers Compensation insurance whether this is in the same strata insurance policy or a separate insurance policy. This post appears in Strata News #220. Did you know that when you volunteer your personal service with your Strata Company, you can be covered for the voluntary work undertaken should you be injured? However, the benefits available to volunteers via this cover is limited, including age restrictions (as an example). It is important to make a distinction between cover provided by Workers Compensation insurance versus Voluntary Workers insurance. Workers Compensation Insurance covers those who are deemed workers that are paid for their services, in kind or some other remuneration. Voluntary Workers Insurance covers those who perform work solely on a voluntary basis without reward for their services. Workers Compensation, like Strata Titles, the insurance is governed by an Act and therefore both are statutory forms of insurance. 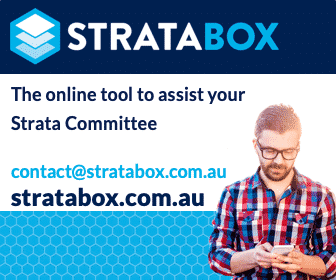 Voluntary Workers insurance is found in strata insurance, but the requirements for this type of insurance differs around Australia and whilst not mandatory in WA, it is a standard inclusion of a strata insurance policy. Primarily voluntary workers are covered for the insured events (i.e. Death; Total Loss of a hand, eye, foot etc. ), loss of income where they are employed and receiving wages or salaries, domestic assistance, travel expenses, home tutorial expenses, subject to the limitations, excess, terms and conditions of the policy. A Strata Company decides to have a busy bee on common area gardens during the warmer spring cleaning months. None of the residents will be paid for their service. As the work involved is only voluntary gardening, rather than contract work, the owners are able to save money towards painting the complex at a later stage by arranging the busy bee. A question is raised at the AGM, are residents covered for an injury from an accident when volunteering for the Strata Company? Yes, this is an example of voluntary work and would fall under the coverage provisions provided by Voluntary Workers insurance. It is always best to review your coverage and know what you are covered for, as age and cover is restricted. Knowing what you are covered for is one of many important aspects before deciding to perform voluntary work. This article has been republished with permission from the author and first appeared on the PSC Property Lync Insurance Brokers website. This article has been prepared for informational purposes only, and is not legal advice and should not be relied on as legal or insurance advice. You should consult with a qualified insurance or legal advisor.